During a shopping trip to my local A.C. Moore I came across this pendant while perusing the jewelry section that immediately caught my eye. 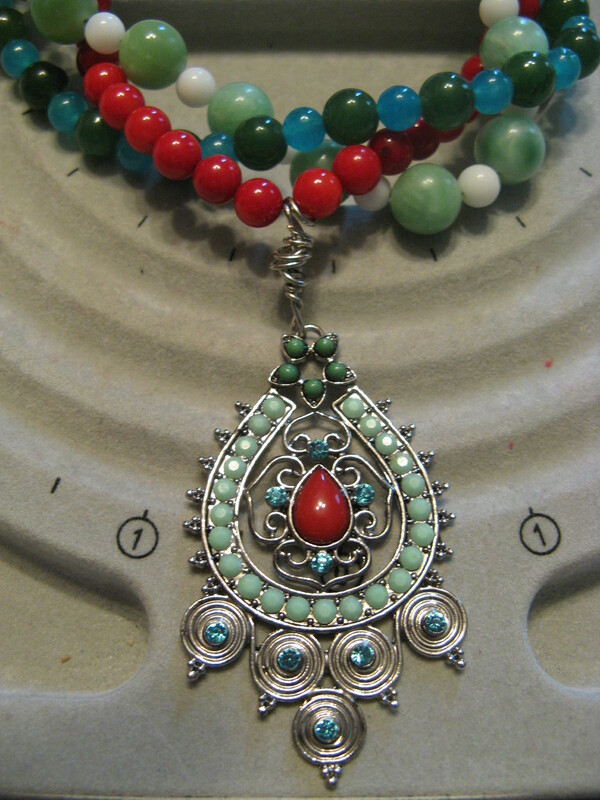 I knew that I wanted to use it as the focal point of a multi-strand necklace. 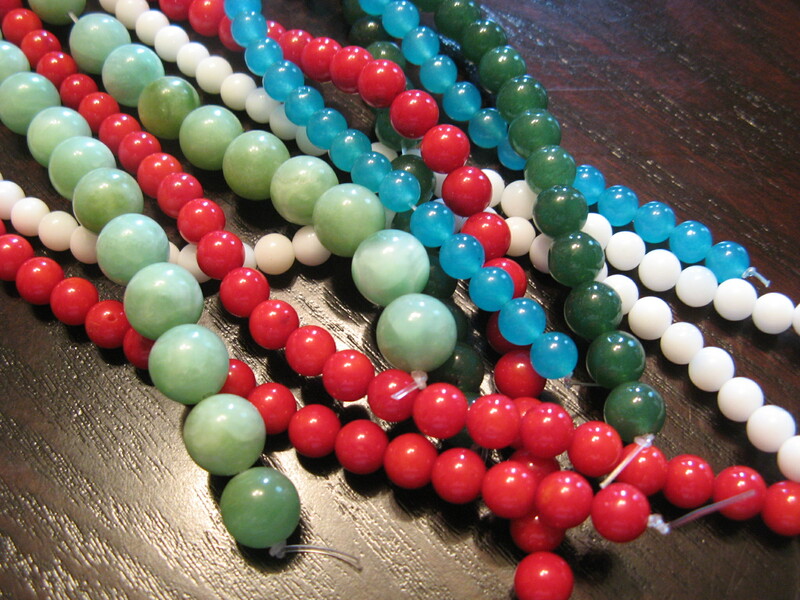 At first I wasn’t sure what type of multi-strand – all chains, a combination of chains and stones or all stones. 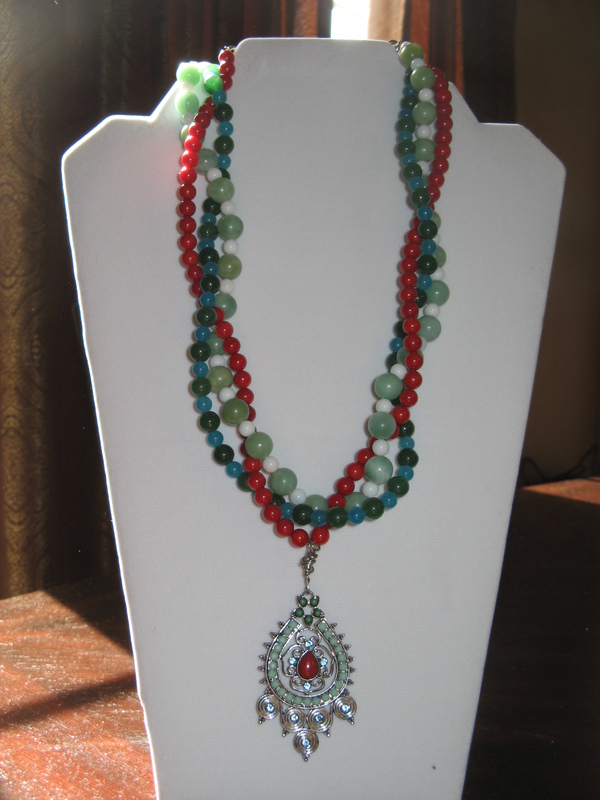 After attending a bead show and a few trips to A.C. Moore and Michaels I was able to find strands of stones that perfectly complemented the colors in the pendant. 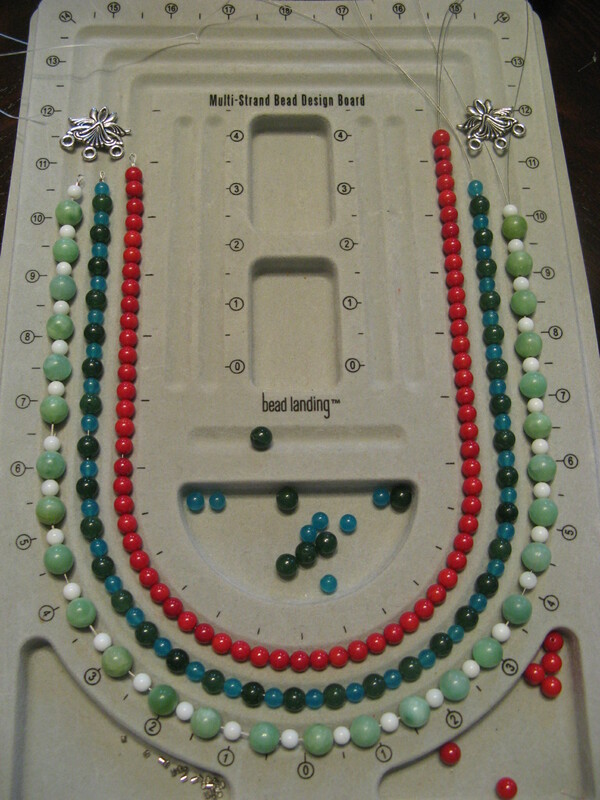 I started off by laying out the strands using a multi-strand bead board. Once I had them strung on beading wire I haphazardly intertwined the three strands. 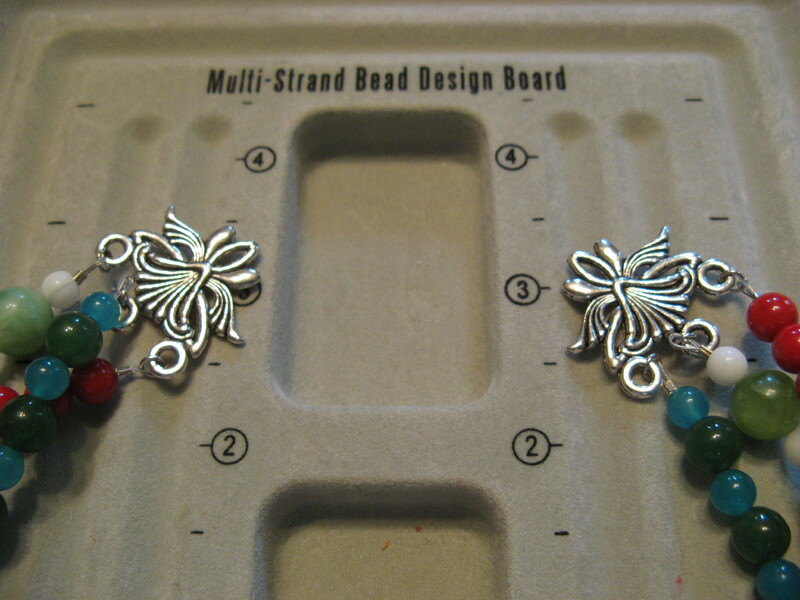 I actually got these three hole end bar links on clearance at Jo-Ann’s (what can I say I’m a craft store junkie) and they ended up being just what I needed for this necklace. It’s not pictured here, but, I attached a toggle using jump rings to the single loop side. 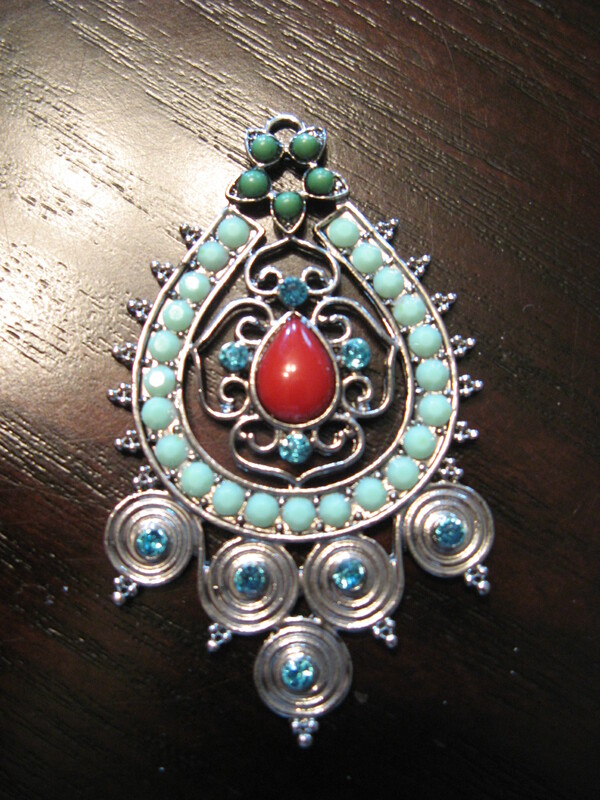 To attach the pendant to one of the strands I created a messy wire wrapped loop . 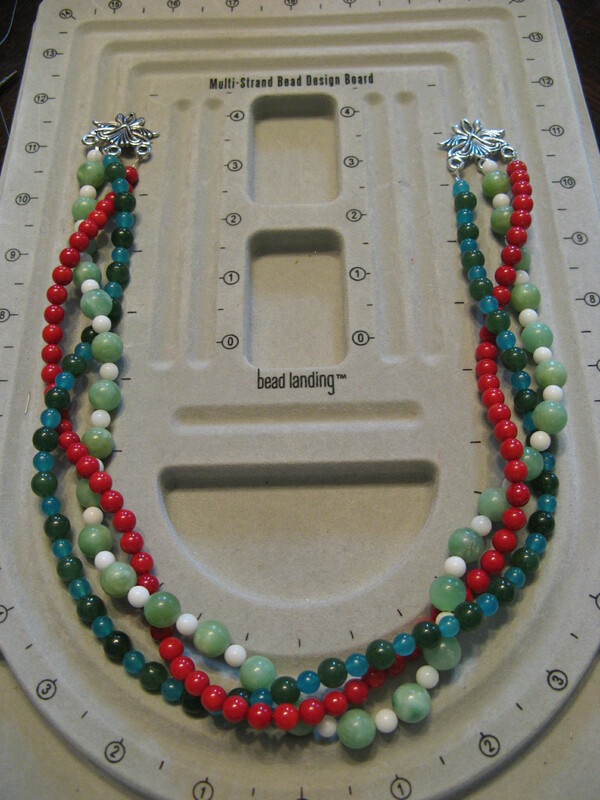 And as simple as that the necklace was done. Love the colors! You made one beautiful necklace!